Announced via private circles. This means an immediate job opening. With the right coach the program could find new heights. You heard it first! Something I’ve wondered and this is as appropriate place as any to ask: What outdoor track does UWM use for practice? I don’t think they’ve got one on campus, although I could be totally out of the loop. UW should be there, but they haven’t been to NCAAs 2 of the last 3 years. *Not scientific. Just matching teams at Nationals against top Universities. Gwen Jorgensen has a better chance of winning Olympic Marathon Gold than Drew attending UWM. That’s funny but she was so good at the triathlon – just kidding! Following her 2018 outdoor track season debut, Gwen Jorgensen discusses leaving behind triathlon for lofty goals in marathoning. This is the Milwaukee State Teachers College campus in 1937 (area bounded by Hartford, Downer, Kenwood and Cramer). It looks like there were three tracks of varying sizes. The top one is the current soccer field. The bottom left one is Pearse Field under construction. It was used until the late-1960’s. Baker Fieldhouse, where the City, Suburban and Braveland conferences once held indoor meets, is east across Maryland from Pearse. Both Pearse and Baker are long gone. They use Shorewood’s track. Not as much as you would think. They practice most of their jumps indoors. Rarely see them on the track! Lots of wishful thinking here. I hope there’s a serious national search for a head coach. It will have to be track and cross country. Knowledge in all deciplines as there’s not many coaches in the program. @zen I heard in the circles that Cofekd is retiring but not sure if it’s after the 2018-2019 season? The right coach could bring so much potential athletes to UWM. Could they lure Guthrie out of retirement? He has coached D1 before at Central Michigan and as an assistant at UW. What is the financial reward for this job? Is it a higher paying job than what the coaches in the wisconsin division 3 schools are receiving? You know I was just talking about this yesterday. Coach Guthrie would be a great fit for the program. Build them up for 5-7 years. I also thought that Missy Buttry and Andrew Rock could be a good dual to try people into the program. UWM raced today at UW-Green Bay. So far I have not heard of any new hires. Currently Jake Reilly is filling in until a new coach is announced. Is it the leadership at the top that’s holding back on a hire or is nobody interested? I don’t know how accurate it is, but I heard John Simons interviewed for the head coach position. Surprise new hire! Completely out of the blue! A good fit for the program. I’m going to assume that Jake Riley will continue to coach cross country? Andrew is a great guy and I’m excited to see what he can bring to the program. 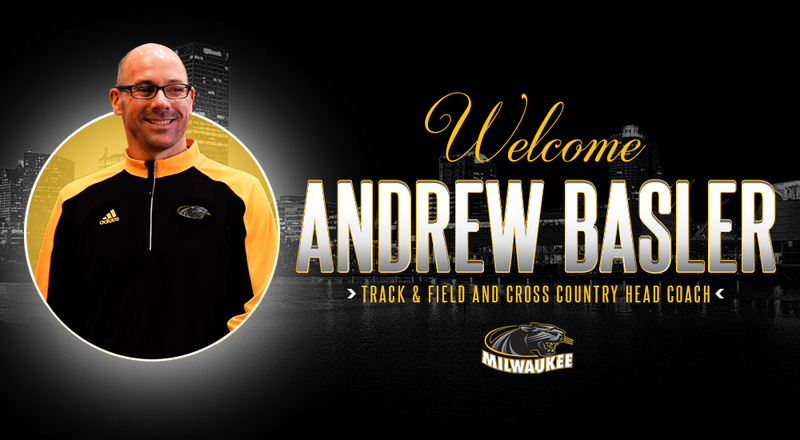 MILWAUKEE - Andrew Basler has been hired as the new head coach of the Milwaukee track & field and cross country programs, Director of Athletics Amanda Braun announced today.